Current radiologist workload and the shortages in Japan: how many full-time radiologists are required? To clarify the workload of certified radiologists and to estimate the current manpower shortages in Japan. We conducted a questionnaire survey for accredited training institutions. The contents included the radiologist employment pattern (full vs. part time), the number of computed tomography (CT) and magnetic resonance imaging (MRI) examinations and their radiology reports, the number of radiation therapy planning sessions, and the time per week spent for each work activity. We also used the hospital survey reports of Japan’s Ministry of Health, Labor, and Welfare in our analyses. The estimated numbers of CT and MRI interpretation reports and radiation treatment plans that one full-time radiologist could complete within 1 hospital day (8 h) were 19.9 and 1.22, respectively. To complete all CT and MRI reports, at least 2.09 times more full-time diagnostic radiologists are needed in Japan. For radiation therapy, at least 1.23 times more full-time radiation oncologists are necessary at large- and medium-scale hospitals, although the number of radiation oncologists needed in Japan is balanced to the current number. The number of full-time certified diagnostic radiologists for CT and MRI interpretation in Japan is insufficient. Centralized radiation therapy facilities may be more efficient for meeting the increasing demand. We thank Dr. Keiko Imamura, Department of Radiology, St. Marianna University School of Medicine, for providing advice on the questionnaire format. We also thank Dr. Yuichi Imanaka, Department of Healthcare Economics and Quality Management, Kyoto University Graduate School of Medicine, for advice on how to summarize the data. Dr. Ohtomo received a research grant from Daiichi-Sankyo Co. The other authors have no conflict of interest. Overview of healthcare center (static and dynamic) survey and hospital report in 2011, from Ministry of Health, Labour and Welfare. http://www.mhlw.go.jp/toukei/saikin/hw/iryosd/11/ (in Japanese). 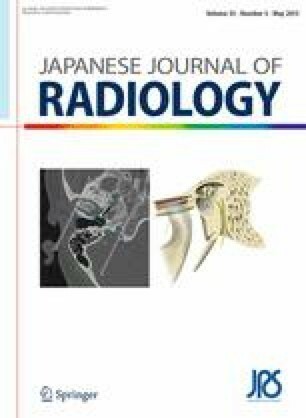 Nojo T, Sekimoto M, Imanaka Y, Ohtomo K. Research report concerning actual condition survey in imaging diagnosis of CT and MRI. Japan Radiological Society. 2010. http://www.radiology.jp/modules/news/article.php?storyid=840. Accessed 22 June 2010 (in Japanese).